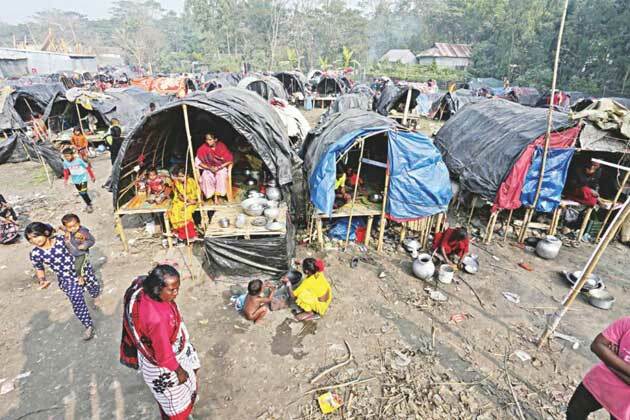 Jan 25 2019 - (The Daily Star, Bangladesh) – 14 Bede families have set up their oval-shaped makeshift tents on private land in Natun Torki, a village in Kalkini Upazila of Madaripur district. A branch of the Arialkha river flows on the west of Natun Torki. 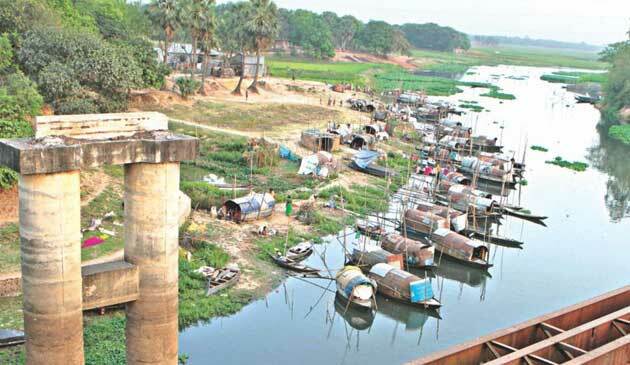 The area is well-known in Barishal for Torki Bandar, a narrow but flowing river on the west. The Bede huts are just on the outskirts of the crowded Natun Torki market. “Many years back, Father Renato, a Catholic priest, used to assist us and had a school that would travel with us,” recalls Rubina’s husband Nurun Nabi, 55, who had been a teacher of the floating school. Nurun Nabi studied up to class ten and is ready to teach the Bede children again. For a month or two in October and November they relax, organise parties with singing and dancing, repair their boats, and settle social matters such as disputes and marriages. “About half of the 70 families who don’t own houses and have their boats under repair set up tents,” explains the Sardar (leader of the Bede hamlet). The hamlet grows lively with the assembled crowds. Two of Sarder’s friends—Md Jahangir and Md Abdur Rab—join us as we chat. They reminisce about their life 25 years back, when they all had boats. “We used to come here twice a year since 1972. The river had a magnetic power. 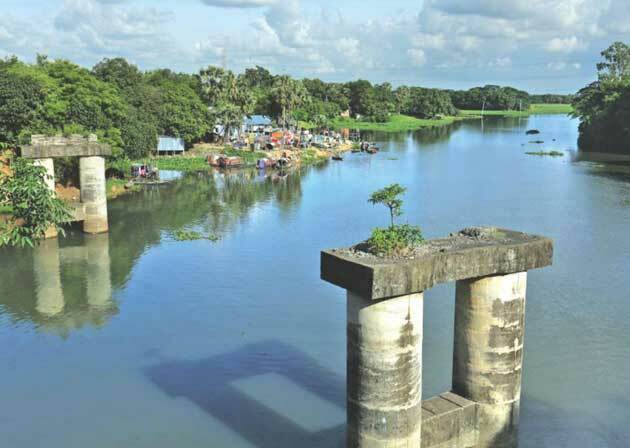 We would repair our boats here,” recalls Md Jahangir, 65, who was the first to buy five decimals of land for Tk 40,000 back in the day. Land and agriculture are mirages to the Bede of Kakalia or elsewhere. 60 Bede families have settled on 51 decimals of khas land; but not for free. 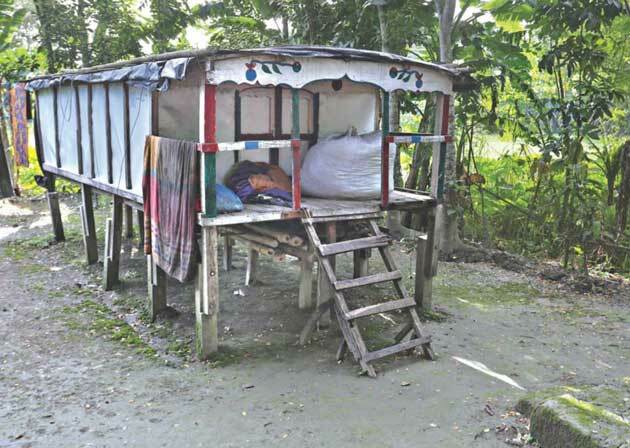 Abu Miah, Tabu Miah and Ali have taken yearly leases of 20 decimals of land and divided it into 10 tiny plots. 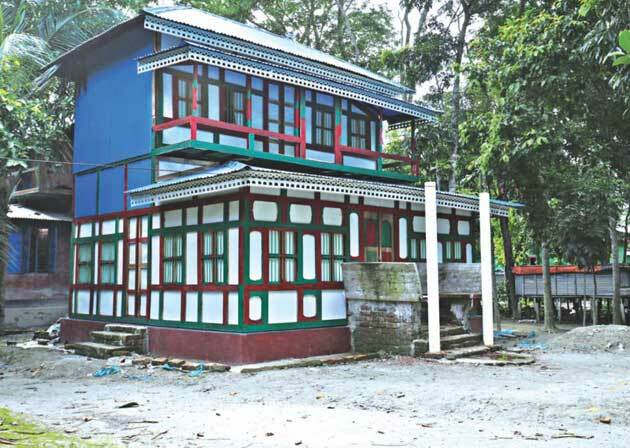 Fazlul Haque, Rezia’s son, took one of the plots for BDT 8,000 15 years ago. Others have taken plots for between BDT 40,000 and BDT 50,000. Sadhina’s son works at a garment factory at College Gate, 10 minutes away from Kakalia. 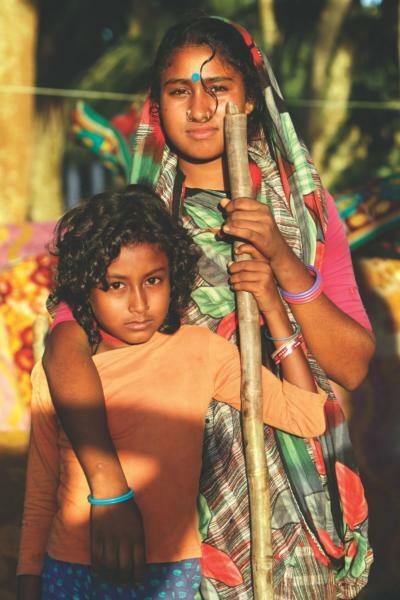 Like Sadhina’s son, 15 other young boys and girls go to work in the nearby garment factory. With Habibur Rahman’s initiative, 36 young people have learned to drive. Many others have passed the test to become police officers and got other jobs. 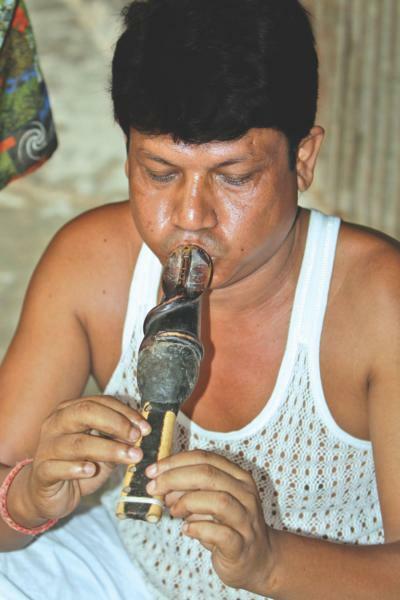 He set up four schools in Khari in Munshiganj, and also helps when Bedes face trouble anywhere in the country.